Your WhatsApp contacts can now hide from you when was the last time they used the app. So you can no longer see their Last Seen timestamp. However, you can try to “spy” on them anyway. With the application Whatsapp Tracker you can track their online status even though they don't want you to. Unfortunately the app behaves really moody and works correctly only occasionally so you can't be sure when it's showing the right data. Since spring 2014 WhatsApp, mobile messaging app for smartphones, introduced changes into the privacy setting. Last Seen timestamp tells you what was the last time the contact was using WhatsApp. It doesn't indicate user read your message, s/he might have been chatting with someone else. Nevertheless, the user opened the app. Online means that user has currently their app open and is connected to the internet. Every time you use WhatsApp, it tells all your contacts you were online and shows them also the exact time. Quite recent changes in the application privacy setting allow users to hide the Last Seen timestamp from everybody. No one needs to know any longer you are whatsapping in the middle of the night. 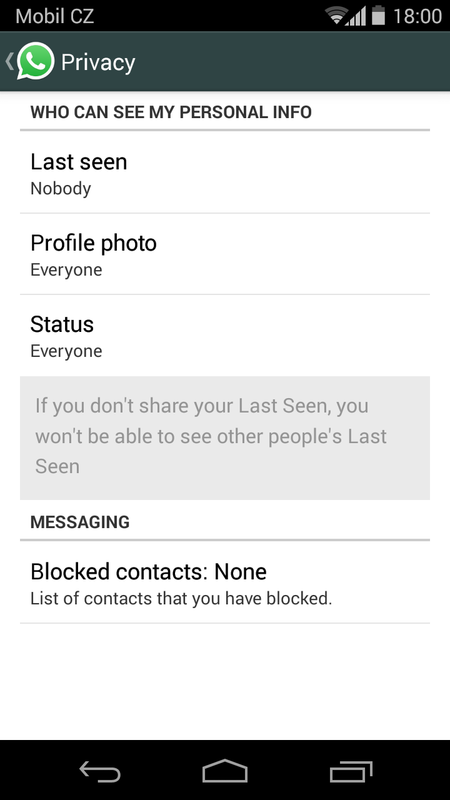 The downside of this feature is neither you can see other people's Last Seen statuses. However you can never hide your online status which appears in the moment you are actually online. So by going to the apps setting > account > privacy you can set who can see your Last Seen and also Profile photo or Status. How to find out Last Seen anyway? Bunch of new apps appeared after this privacy update and some of them were helping you find out Last Seen of the contact even though s/he decided not to share this information with other users. One of these apps is Whatsapp Tracker – Spyder. 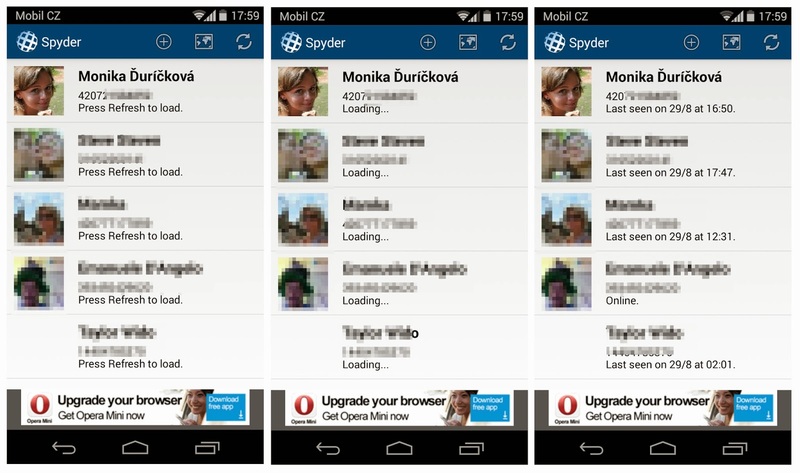 You can add desired contacts from your phone contact list and after refreshing them you see their Last Seen. You can use this feature if you want to find out Last Seen of your contact who set it as private. Or you can set your Last Seen as private and still check other people's timestamps. There are not many ways how to determine whether the app is working correctly. So I added myself to the list and tried to keep track if Last Seen is shown correctly. Most of the times WhatsApp Tracker showed the right values. But unfortunately sometimes the app just stopped working and showed old timestamp for whole day. Or after I woke up and used my phone for the first time in the morning WhatsApp Tracker was already showing my Last Seen from the middle of the night when I was already asleep. Although it looked like there might be a way to find out the Last Seen even with the new privacy setting, you can't really rely on the WhatsApp Tracker to show you correct times. It apparently works sometimes but you can never check if it is right at the moment. The app is being developed by students so it might be fun to try it out but I wouldn't recommend it as a reliable source.